“Do you have Valium? I’m worried I won’t be able to sleep again tonight.” In truth, when I sent this text to a friend late one afternoon last April, I was more than worried. I was petrified. I hadn’t slept for three nights and knew perfectly well my mental health was deteriorating. On the first sleepless night, the excited restlessness felt like a normal part of the creative process. I was writing a book and it seemed a natural, albeit exhausting price to pay. My mind raced and every hour or so, on my mobile phone, I would note down any thoughts that seemed important – in case I had forgotten them by the morning. But over the next two nights my mood changed from excited obsession to raw anxiety. For the first time in my life it felt as though I was losing my grip on reality. My normally stable mental life was disintegrating. What foolish measures would I resort to in the lonely small hours if I couldn’t sleep again tonight? Would I reach for that dusty bottle of vodka in the back of the drinks cabinet in a misguided attempt to “knock myself out”? Or worse? I began to understand – though I was still a very long way away from this myself – why people assume, incorrectly, that taking their own lives is the only means of escape. Memories of this sudden crisis, which heralded a week of disabling anxiety that seemed unconnected to any specific trigger, came rushing back to me when a debate kicked off in the British press about whether mental illness should be viewed as a “biomedical” condition – a chemical imbalance in the brain that can be corrected with drugs – or a “psychological” problem that can only be addressed through psychotherapy and by rooting out its original social and environmental causes, primarily poverty, emotional trauma and childhood abuse. The irony of my own situation was that I was writing a book about the scientific evidence stacking up in favour of mindfulness programs as an alternative to drugs for treating mental illness, yet my own daily meditation practice had failed to shield me from crippling anxiety. In my career as a medical journalist I have worked on dozens of stories about the perils of dependence on sleeping pills and anti-anxiety drugs like Valium. In 2004, I wrote about how the shine was coming off SSRI antidepressants such as Prozac and Paxil, with new research exposing lower than expected efficacy and some frightening adverse effects, including suicidal thoughts. I wrote glibly that the new kid on the block, cognitive behavioural therapy (CBT), was proving just as effective as drugs for treating depression and anxiety, with none of the unwelcome side-effects of antidepressants such as weight gain and loss of libido. Now I was singing the praises of mindfulness-based CBT or MBCT, newly developed to prevent relapse in people who are prone to depression, without recourse to medication. The new therapy was showing great promise in clinical trials. Had I come down on the wrong side of the debate? This isn’t a purely academic question we should leave clinical psychologists and psychiatrists to scrap over. There’s far too much at stake. A survey from the US Department of Health in 2013 suggested that 43.8 million American adults had experienced mental illness in the previous 12 months (18.5% of everyone over 18), and 9.3 million (3.9%) entertained serious thoughts about suicide. Some 34.6 million (14.6%) had received mental health care in the past year. The default treatment in the US is medication, not psychotherapy, so it’s unsurprising that figures released by the National Center for Health Statistics in 2011 revealed that 11% of Americans over the age of 12 were taking antidepressants. A report by Medco found that in 2010, 11% of middle-aged women and 5.7% of middle-aged men were taking anti-anxiety drugs. These figures are all the more remarkable when you consider that mental illnesses such as anxiety and depression remain a taboo subject in the political arena. Few American politicians allude to mental health issues, except perhaps in the wake of mass shootings such as Oregon when the immediate reaction from some quarters is to nudge the debate away from gun control by asserting that the shooter had “mental health issues”. The same taboo dictates that media revelations about any history of mental illness, or a continuing reliance on medication, will sound the death knell for an ambitious politician’s career. This lack of public openness and debate may explain why the majority of health care plans still don’t give Americans the luxury of treatment choice when it comes to the drugs versus psychotherapy argument: it’s the drugs or nothing. In the UK, where I’m based, things were just as bad until a sea change a few years back when the former coalition government pledged to put mental health care on an equal footing with care for physical illnesses, rolling out a programme to widen access to psychotherapies such as MBCT. This followed recommendations in 2009 by an independent advisory body, the National Institute for Health and Care Excellence or NICE, that the first-line treatment for mild depression should be talking therapies, and that MBCT should be offered to people who have experienced three or more bouts of major depression as a way to prevent further relapses. Partly as a result of these initiatives, the quality of mental health care has now become a normal part of political discourse in the UK, ensuring that politicians are held to account for fulfilling these promises and recommendations. Mindfulness even found its way into the heart of political power in 2014 with the establishment of a Mindfulness All-Party Parliamentary Group. It’s a very Buddhist approach: a “middle way” between two extremes. This seems appropriate given that it was the Buddha who discovered some 2,500 years ago that mindfulness reduces human suffering. He argued that there’s always trouble when people cleave to extreme viewpoints. The ease of writing a prescription can mean medication is all too often doled out without adequate clinical oversight. Alternatives that can give people the skills they need to stay mentally well are usually under-resources. Nevertheless, drugs remain an indispensable, albeit imperfect tool. 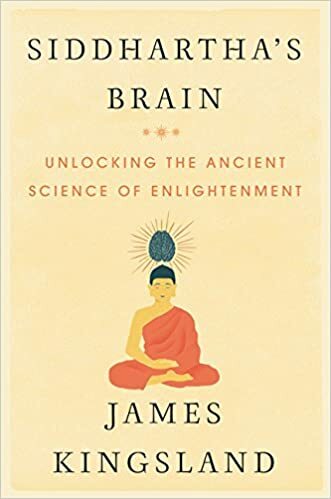 I just finished reading your book “Siddhartha’s Brain” and was really impressed with it. I took a course in Transendental Meditation when I was in college and practiced it for a while. Reading your book encouraged me to go back to doing it again. My brother has suffered with Manic Depression for many years. I was interested to read about the recessive gene in mental illness in your book. He’s been encouraged to take Lithium but he doesn’t like the way it makes him feel. I think I will try to encourage him to try mindfulness meditation but I suspect he will not be open to try it. Again, thank you for writing such an informative book. So glad you found the book informative and have been inspired to try TM again! Your brother should probably speak to his doctor before trying any kind of meditation, just to make sure it’s the best option for him. I know there are some specialist mindfulness courses out there for bipolar (manic depression) but they’re not widely available yet. And the vast majority of the research that’s been done into mindfulness-based therapy has been for major depression rather than bipolar. I know a couple of people who take lithium and find it very effective. Like I say in the post, medication and meditation probably each have their place in successful treatment. Anyway, hope your brother finds what works for him. And good luck with the TM! I simply wrapped up your book “Siddhartha’s Brain” and was truly inspired with it. I took a course in Transendental Contemplation when I was in school and rehearsed it for some time. Perusing your book urged me to backtrack to doing it once more. My sibling has languished with Hyper Melancholy over numerous years. I was intrigued to peruse about the latent quality in emotional sickness in your book. He’s been urged to take Lithium yet he doesn’t care for the way it makes him feel. I think I will attempt to urge him to attempt care contemplation yet I speculate he won’t be interested in attempt it. I am a yoga/ meditation teacher and cognitive neuroscience researcher. I work with the Canadian Mental health Association, and also have a deep wish for there to be more accessible and timely mindfulness meditation services available. There is a major gap to be filled, as you have written- between psychotherapy and psychoactive drugs. I see it like this: To heal from a physical injury, it’s good to get manipulations from a physiotherapist– but nothing much will change if you don’t also do the homework exercises. We need to better assist people on doing the homework exercises, but for the brain. Blending biomedical treatments (if necessary) with mindfulness-based interventions comes with greatest long-term results. Thank you for your well-written, important blogs. I just picked up your book- I’m very excited to read! Agreed. It’s wonderful to have the drugs available in the bathroom cabinet, as it were, for emergencies, but also wonderful to learn mental self-management skills that will serve one well every day for a lifetime – and hopefully reduce future need for chemicals or other therapies. Drugs to get well and mindfulness skills to stay well, as Zindel Segal put it to me. The earlier one can learn these skills the better, in my opinion. Most mental health problems manifest in the teenage years, though we’ve probably got some way to go before the scientific evidence is good enough to add yoga/meditation to every school curriculum alongside PE…. But if only there were more specialists like you (and public funding) in mental health services to research and teach these life skills. Keep up the good work, and I hope you enjoy the book!